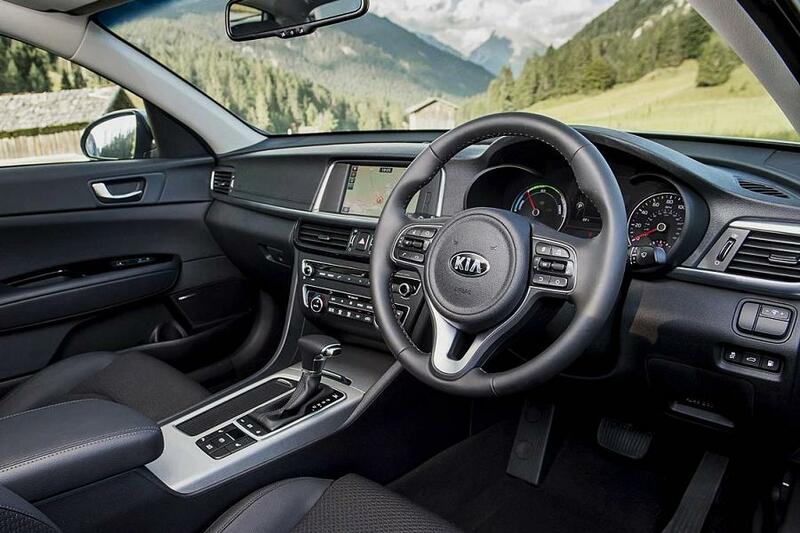 Since being launched last year, the Kia Optima saloon has only been offered in the UK with a 1.7 litre diesel engine. Now, though, there's a plug-in hybrid alternative. The new arrival features a 154 bhp (115 kW / 156 PS) 2.0 litre direct-injection petrol engine, a 67 bhp (50 kW / 68 PS) electric motor and a six-speed automatic transmission. Total system output is rated at 202 bhp (150 kW / 204 PS), while peak torque is 372 Nm (274 lb/ft). Those figures allow the Optima PHEV to accelerate from rest to 60 mph (96 km/h) in 9.1 seconds before reaching a top speed of 119 mph (191 km/h). Fairly leisurely performance then, but 176.6 mpg (1.6 l/100km) and CO2 emissions of 37 g/km on the official combined cycle should be adequate compensation. Equally as important is the car's pure electric range which, thanks to a 9.8 kWh lithium-ion polymer battery pack, is a respectable 33 miles (53 kilometres). 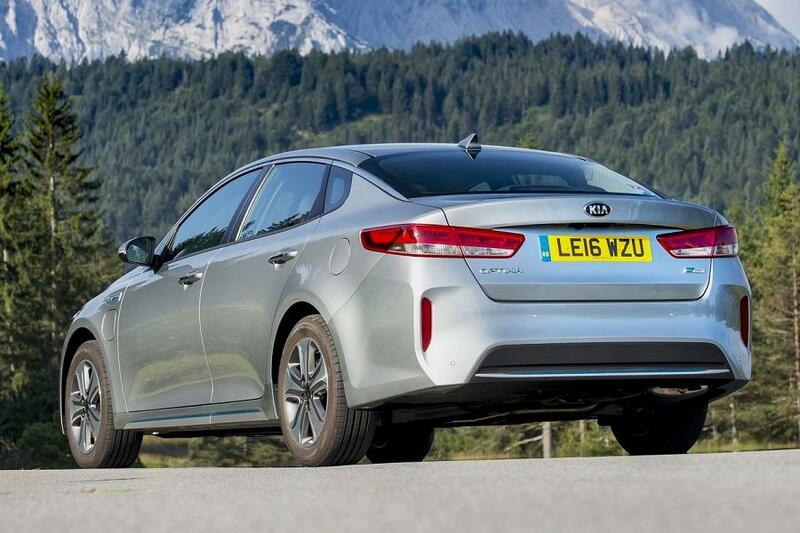 As well as contributing to improved aerodynamics, restyled bumpers and an active air flap grille help to identify the Optima PHEV. Other unique design elements include blue chrome trim and blue-tinted LED headlights. Standard equipment is generous, as 17” alloy wheels, parking sensors and a camera-based 270° around-view monitor all appear on the list. Also fitted are a wireless mobile phone charger, a ten-speaker Harman Kardon audio set-up and satellite navigation that's controlled via an 8” touchscreen. However, there is a premium to pay. 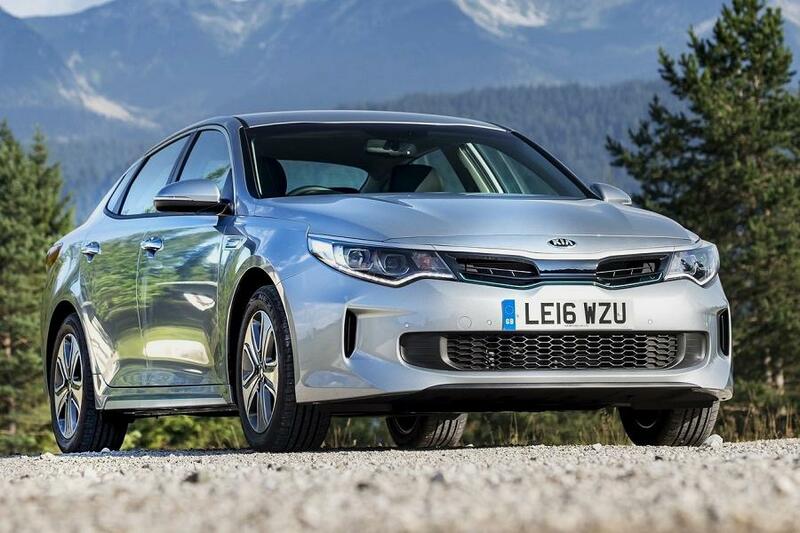 Whereas prices for the diesel Optima vary between £21,495 and £28,895, the PHEV version costs £31,495 (after applying the government's £2,500 Plug-in Car Grant).